CENTREVILLE, Michigan — Saturday JUCO basketball fans across the state found out that Henry Ford Community College, last year’s unlikely regional champion and a one-time no. 1-ranked team in the nation this season, will not participate in the regional playoffs. Apparently the team played the bulk of its schedule with an ineligible player and so must forfeit all but two of its victories. This is obviously traumatizing for the team, but it’s also bad for JUCO basketball in Michigan all around. Everyone, myself included, wanted to see round three of Mott versus Henry Ford. CENTREVILLE, Michigan — The Mott Community College men’s basketball team took down a hard charging Glen Oaks team 77-73 to win the MCCAA state championship on Saturday at Glen Oaks. The Bears led by nine at the half and by as many as 14 in the second half before a late Vikings run in the final three minutes. The Bears (27-2) now prepare for the District 9 regional championship game next weekend. The Bears will take on the winner of Kirtland and Delta. 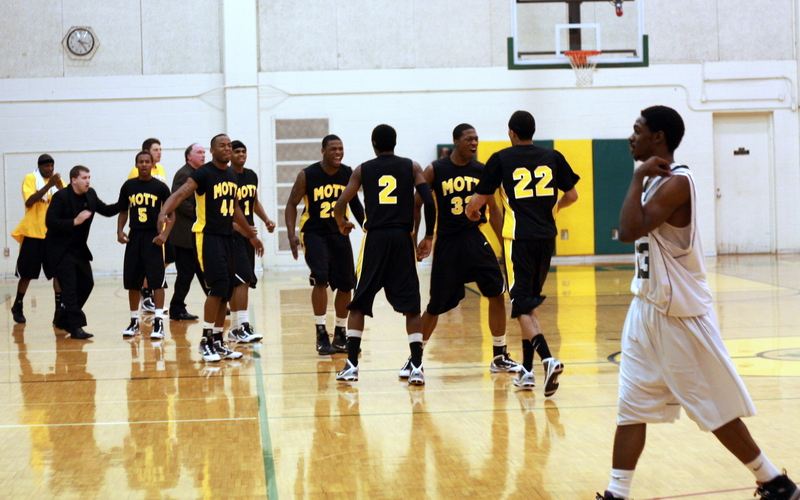 Mott was led by the energy of freshman forward Mike Brigham, who scored 14 points with nine rebounds. Today’s Flint Journal profiled Mott’s “big three” forwards, freshmen Doug Anderson and Mike Brigham and sophomore Torian Oglesby. The Bears (25-3) are preparing for their matchup with Glen Oaks Community College on Saturday at 3 p.m. 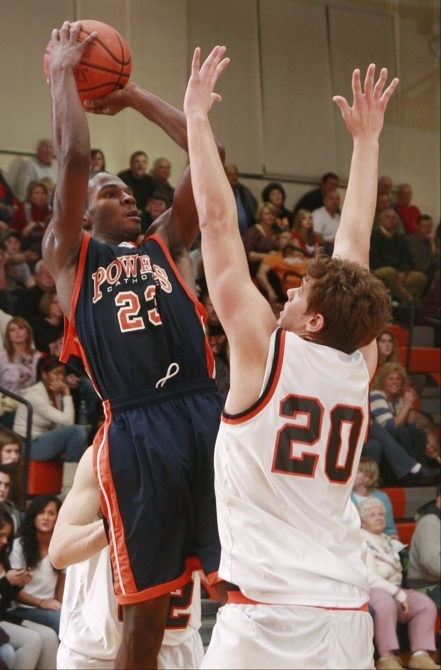 The two teams will compete for the MCCAA state championship in Centreville, Michigan. Mott is the no. 1 seed in next weekend’s regional playoffs in Flint. The Bears, ranked no. 3 nationally, earned the bye into the final four. Prediction: Mott by 10. The Bears just have too much talent and have played a schedule that no other team in the midwest can equal. Turnovers or shooting? What’s MSU’s problem? Editor’s note: Thanks to Dylan at UMhoops.com for digging this up. Pete Rossman, at The Only Colors, has an interesting piece on MSU’s lackluster play of late: He wonders, turnovers or shooting – what’s eating Michigan State? From TOC: In a stunner, when Michigan State shoots very well, they almost always win. You can see why Izzo’s been so incensed with shot selection the last couple days, as it appears that the Spartans have a greater chance to win with a high TO% then with a low eFG%. Keep in mind the statistics aren’t always exact – any comparison involving the 2000-2001 team will not show a lot of variation since they only lost five games, and, as always, nothing in basketball ever happens in a vacuum. In the absence of dominant big men, you cannot be elite without elite shooting. MSU has neither at this point. That being said, they will probably back in to a Big Ten championship (now that Purdue’s best player is done for the season) like they did the national championship when Kenyon Martin got injured. I recently wrote an article discussing the topic of whether it would be possible to just recruit Michigan and win a national title. That question wasn’t thoroughly answered, but what materialized was a debate over my starting line-up on the perimeter. 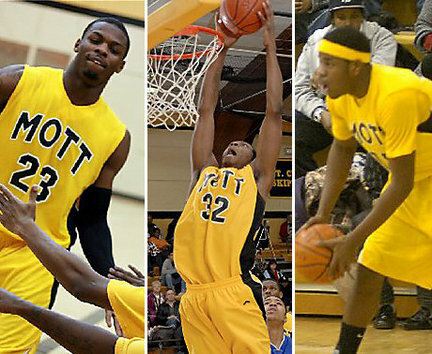 My starting perimeter guys were Xavier’s Jordan Crawford, Western Michigan’s David Kool, and Notre Dame’s Tory Jackson. Those three were routinely dissed in the comments in favor of the likes of Manny Harris, Kalin Lucas, and Durrell Summers [I actually thought Dar Tucker would garner more attention, but I forgot that he didn’t play for Michigan State or Michigan]. Look, I’m not going to act as if the latter three wouldn’t be worthy of starting, but I’m also not going to pretend as if that are clearly better either. Mott freshman Doug Anderson soars for a slam in the second half. FLINT, Michigan — The Mott Community College Bears are where they were expected to be, just a little early. Mott (24-3), with a roster chock-full of freshman, won its 11th straight game on Tuesday night over a hard-charging Oakland team that had beaten nationally-ranked St. Clair and Henry Ford in the last week. The Bears, who sealed the outright MCCAA Eastern Conference championship with the win, led by eight at the break and never trailed in the second half, winning 70-60. Eastern junior LaDontae Henton scored 37 points, but it didn’t matter. The Quakers sans their star freshman point guard Charles “Cha Cha” Tucker were blitzed by Jon Horford and Grand Ledge last night, 85-63. It was Eastern’s first conference loss. I’m frankly shocked by this. I watched these two teams play each other at Eastern earlier this season and it wasn’t close — Eastern dominated. Based on the score, however, I’d say that Eastern would have lost even with the services of Tucker, who was suspended after on ejection Friday night. GL had four players in double figures including Horford with 22, Jason Morrall 19, Jordan Loredo 14 and Jimmie Cotter 13. 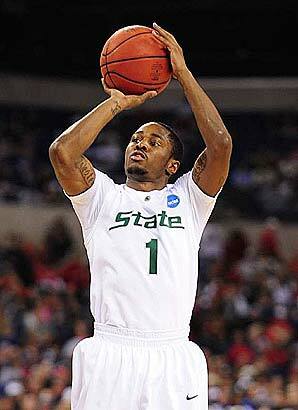 NCAA Tournament 2010: How far will the Spartans go? No. 2-ranked Mott Community College will play rival Oakand Community College at 7:30 p.m. on Tuesday at the Steve Schmidt Gymnasium in Flint. The game had been scheduled for tonight, but a winter storm is blanketing southern lower Michigan with up to eight inches of snow. 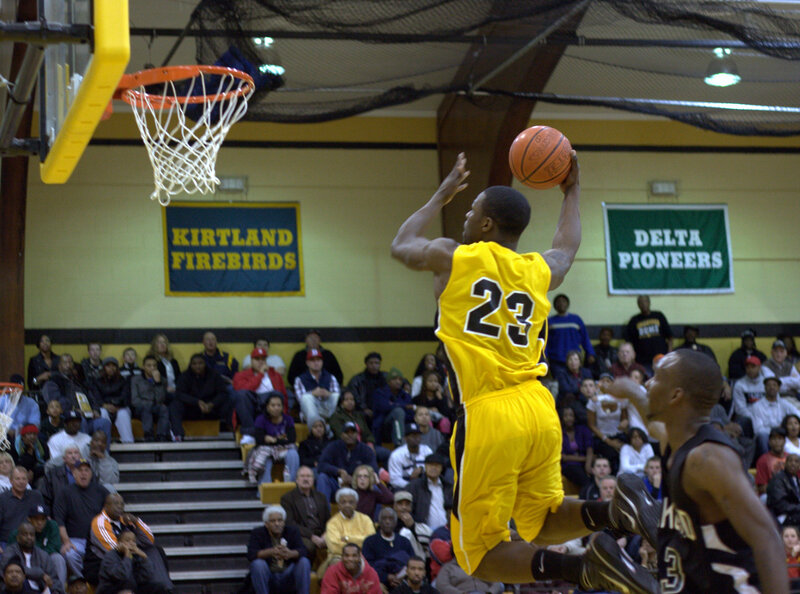 Oakland is coming off two big wins agains St. Clair and Henry Ford Community College, a team that had been ranked no. 1 in the country.